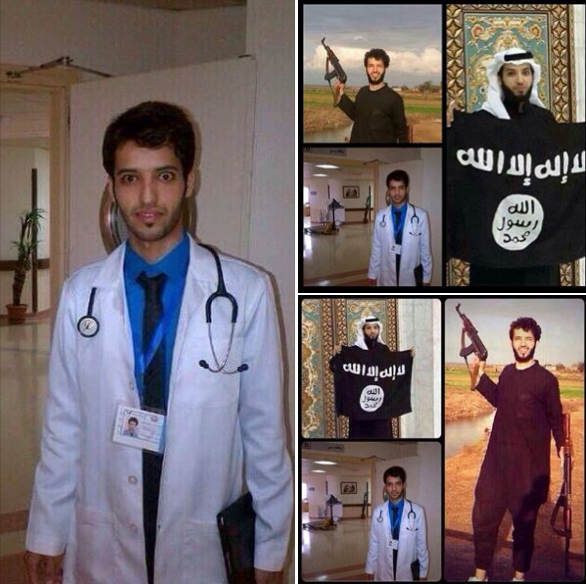 Since the fight for the so called Islamic Caliphate began, many doctors, lawyers and engineers joined ISIS. This proved that radicalisation isn’t always cured with education, and sometimes the most educated can become terrorists. Two good examples would be Former Adelaide doctor Tareq Kamleh and Faisal bin Shaman, who went from being Life-Savers to Life-Takers. The United Kingdom has been trying very hard to stop British doctors from joining Islamic State or other terrorist organisations, which have been urgently seeking more foreign medics to help at its hospitals in Syria. 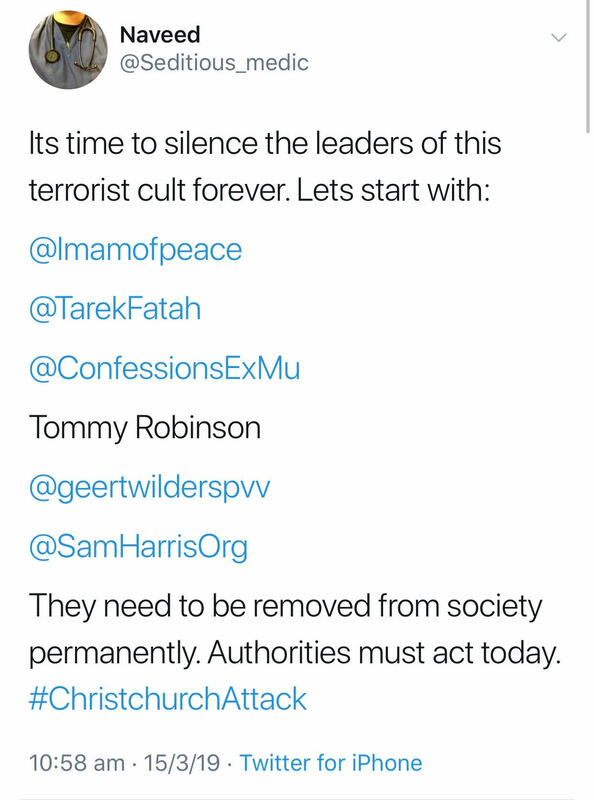 This tweet is not only foolish as Imam Tawhidi is a well known voice against all forms of terrorism, it also endangers the lives on innocent people. Dr. Naveed is trying to remain within the law by using phrases sentences such as “They need to be removed from society” after branding them as “terrorists”. We do not support doxxing individuals, therefore we will share only what he has already made public on his medical profiles. 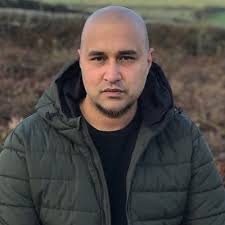 We encourage British citizens to protect patients and society from this extremist and potential terrorist by reporting him to the authorities. Location: Primarily located in Manchester, UK. The following information is presented with the sole purpose of providing awareness, should any of the mentioned individuals in Dr. Iqbal’s tweet become subject to danger.